Deep Nikita competed in the 2013 ICGA contest! 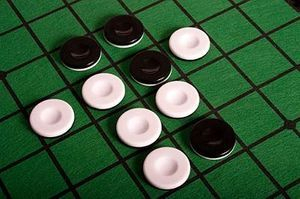 Play Reversi/Othello on one of three starting positions on 100 different playing levels. This AI algorithm features alpha-beta search with quiescence search for corner and X/C square moves, and diagonal breakage. The evaluation function computes stable discs, mobility, frontier discs, and the configurations of the four edges. 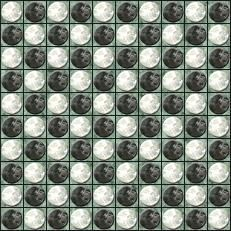 Play International/Polish Checkers on one of 100 levels. Computer plays with 3-piece endgame tablebase. Rules can be found at http://en.wikipedia.org/wiki/International_draughts. 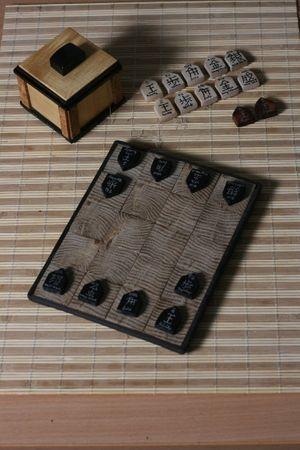 Dobutsu Shogi, also known as "Let's Catch the Lion", is a 3x4 variant of the traditional Japanese chess game Shogi designed by female Shogi champion Madoku Kiato (http://boardgamegeek.com/boardgamedesigner/26621/madoka-kitao). 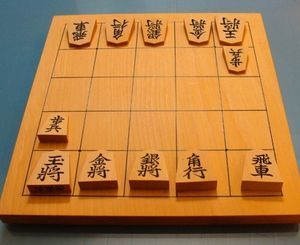 Dobutsu Shogi can be won by White (the 2nd player) under perfect play. 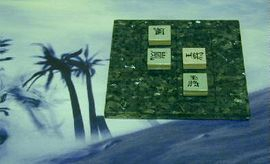 Play 4x5 micro-shogi with 100 different level settings. 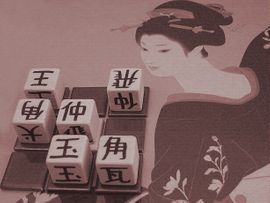 Play a 5x5 variant of the traditional game of Shogi in one of 100 level settings. Watch a game of Minishogi between two experts! 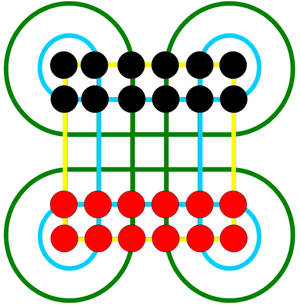 Play an ancient checkers game of Indonesia. AI player comes with 6-piece endgame tablebase (over 500MB! ), and can search ~4-6 plies + quiescence for recapturing. Clobber is a modern abstract-strategy game invented in 2001 by combinatorial game theorists Michael H. Albert, J.P. Grossman and Richard Nowakowski. Play 3 variations of clobber on one of 100 level settings. Lines of action is a connections-type game, in which the aim is to connect all of ones' pieces, by moving your pieces along vertical, horizontal, and diagonal lines. Play 3 different variants on 100 different level settings. Einstein Wurfelt Nicht is a dice game involving probabilistic strategy. Play on one of 100 level settings. Computer opponent uses Monte-Carlo Tree Search with 4-piece endgame tablebase. Chinese Dark Chess is a chess game involving probabilistic strategy. Play on one of 100 level settings. Computer opponent uses Monte-Carlo Tree Search. Up for a challenge? 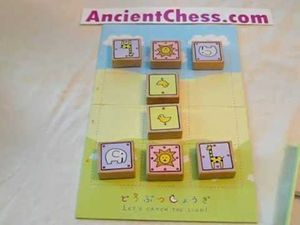 Try a large shogi variant! Think it takes 2 dimensions to play chess? Think again. 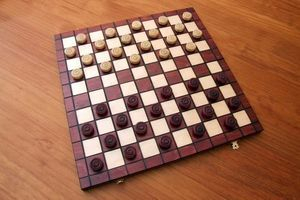 How to play international checkers/draughts. How to play the Sim pencil-and-paper game. Want to try a novel tic-tac-toe variant? Try Order & Chaos! 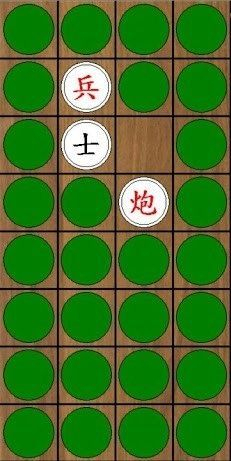 Review of an iPhone Dobutsu Shogi App by me. Corrections: White actually wins a perfectly played game, and chicks may be dropped on the final rank. I give a talk about small shogi variants at the 2012 Graduate Research Symposium at Rochester Institute of Technology (RIT). How I solved Nana and Gufuu shogi, and some interesting properties of these variants. Leaw how to draw game boards and diagrams in ASCII!